A Georgia native, Amy is especially connected to the Atlanta South Metro through family, friends, and professional associations. Born and raised in Spalding County she has lived her adult life in Atlanta, East Point, Stockbridge, and McDonough. Her engagement in home, community and the Henry County market allows her a depth of understanding of area neighborhoods, school districts and on-going economic development. She has the skills, knowledge and passion to advocate for her clients during the buying and selling process. Her twenty years in the medical field has trained her to evaluate objectively, focus on the needs of her clients, and to view every detail as an important piece of the entire process. 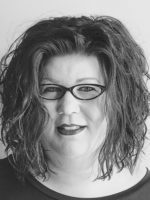 Organized, friendly, and tenacious, Amy has been praised by her clients for her resourcefulness and dedication. She uses experiences from her professional and personal journeys to ensure the client’s real estate experiences are positive and their objectives are met.